Subaru is the Japanese name for the constellation English speakers call "The Pleiades" or the "Seven Sisters". You might have noticed the Subaru (car manufacturer) logo has a bunch of stars on it. This represents the constellation Subaru that is part of Taurus. There are only 6 stars on the logo because the seventh sister is not often visible to the naked eye and in Greek Mythology is the "dark sister", Celaeno. To modern astronomers, the Pleiades are a cluster of hundreds of stars with the brightest 6 (or 7) standing out amongst the mist of distant lights. Our Subaru tableware has nothing to do with cars, but it has everything to do with the constellation Subaru. The deep blue glaze is applied by hand and swirled with a galaxy of stars evocative of a clear night sky. No two dishes have the same stargazing view. J Style's range of Subaru tableware has just gained some new additions. A highly requested 19.4cm side plate is now available, and the popular 23cm soup/salad bowl and 12.5cm tapas plate sizes are now back in stock. 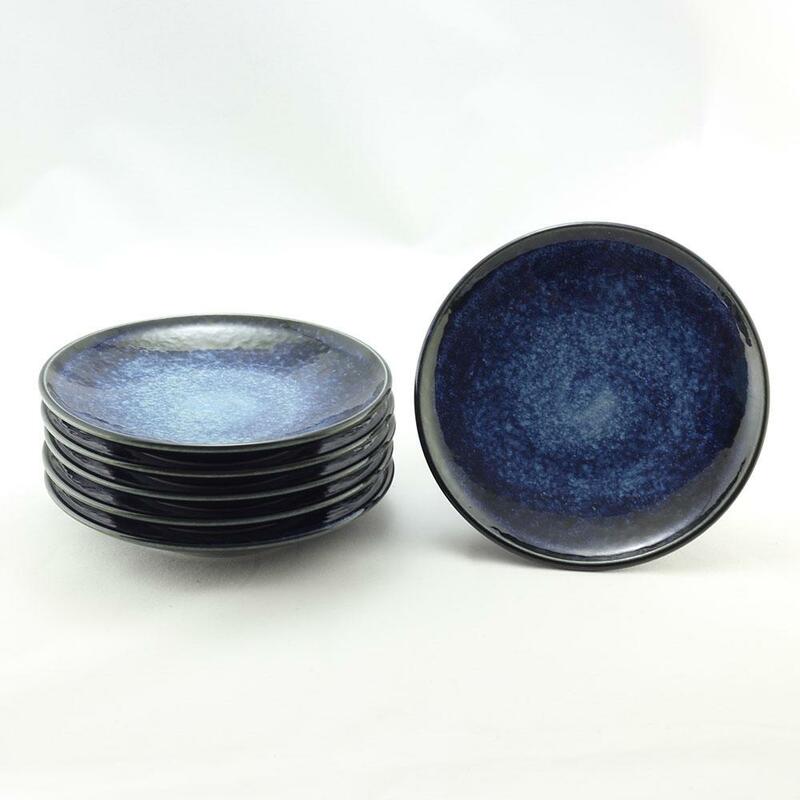 With all meals considered the Subaru large 25.5cm dinner plates, deep ramen bowls, and versatile soba bowls can mix and match into any dinner setting to bring a depth of colour and starlit brilliance to your table.